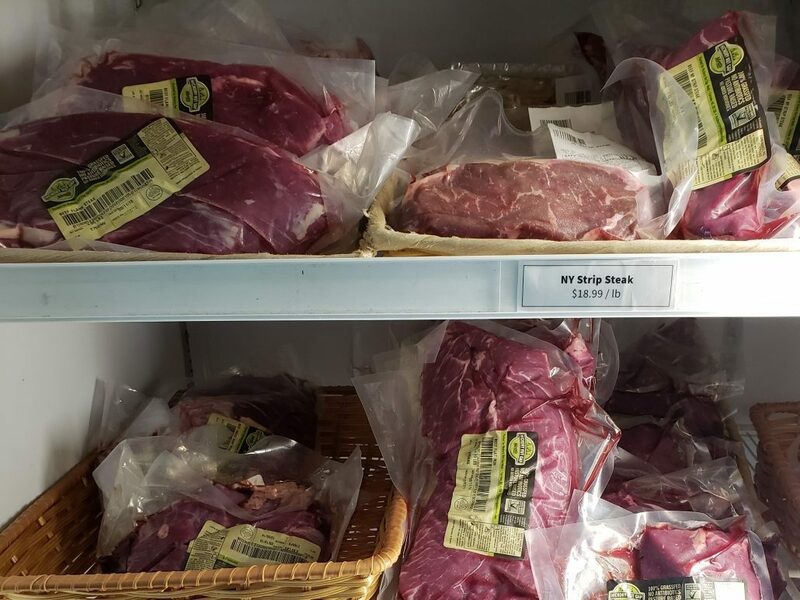 Both hogs and cattle raised on our farm and cooperative farms are processed at USDA-inspected facilities. Our processor butchers beef down to retail cuts and primals for our butchery to cut. Hogs are shipped back to our butchery whole for creating fresh retail portions. The whole carcass is utilized, including bones for broth, skin for dog treats, trim for sausage, and of course, muscle meat for quality chops and roasts. Our poultry is processed on-site and available fresh or frozen. We have also recently begun to work with new-to-us cooperative farms in Kentucky who raise non-GMO chicken, which is processed in one of our USDA facilities and shipped to us. 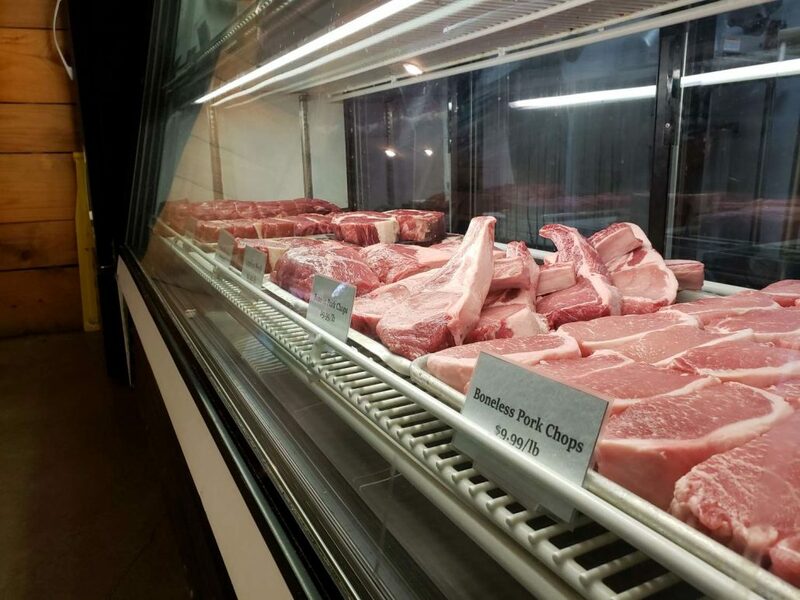 Stocked daily, our in-house butchery prepares a variety of fresh and frozen beef, pork, and chicken options ready to shop at length or quick-grab for dinner. 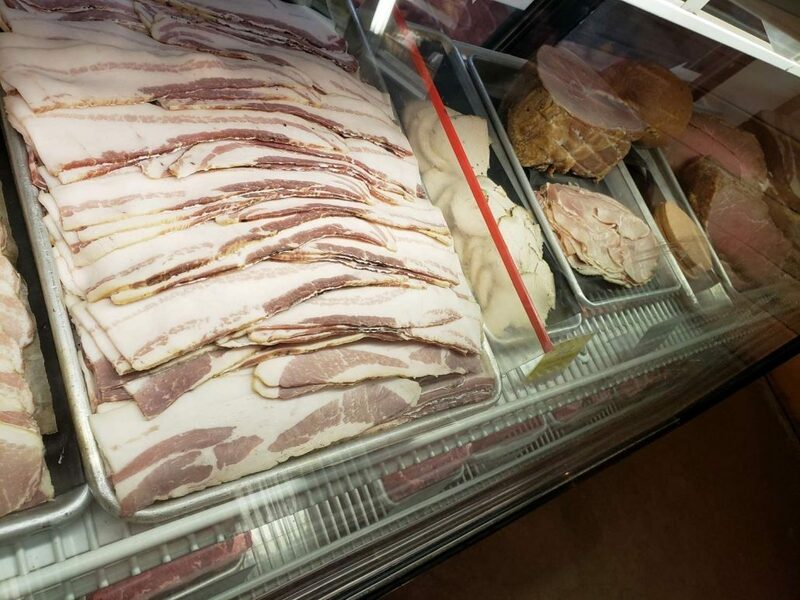 Our talented butchery team also creates specialty sausages, sandwich meat (pastrami, bologna, ham), fresh bacon, bone broths, and even raw dog food and natural dog treats. Custom cuts are also available, contact our butcher to place an order. Buy 30 pounds or more of any single cut and get a 10% discount (get in touch to place your order so we can make sure it’s in stock), or stop in to take advantage of our bulk box options. If you have freezer space and want to save a bunch of money, consider buying a quarter, half, or whole animal. This is the best deal going! 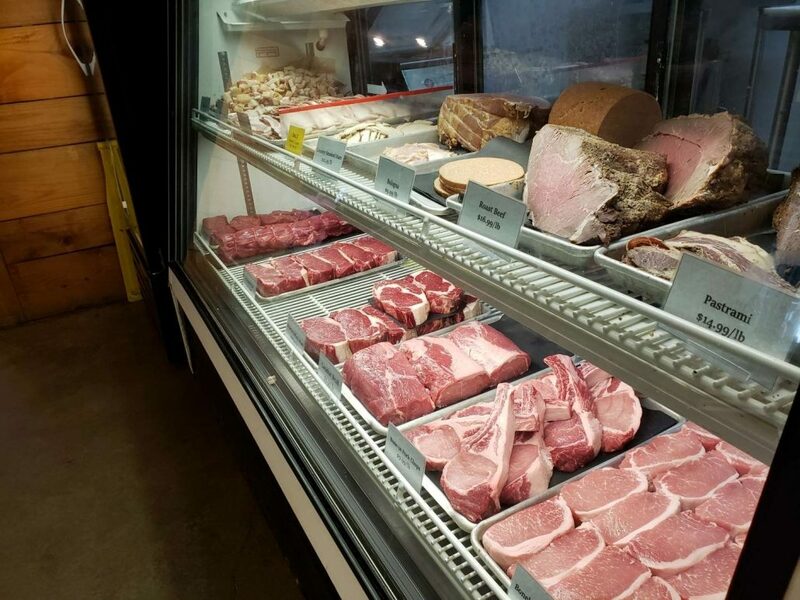 When you place your order, we’ll walk you through specifying how you want your package designed (steaks, primals, roasts, grind, etc.). 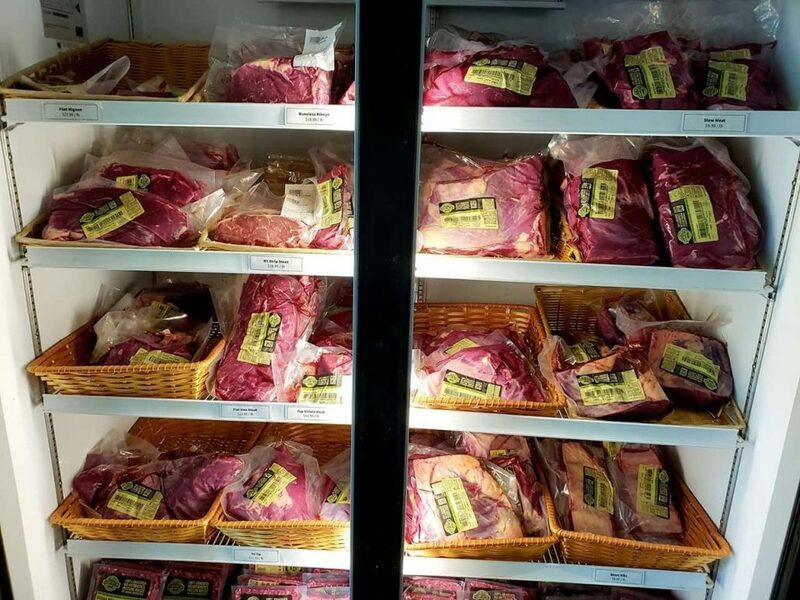 Options available include: quarter cow (80-95 lbs), half cow (160-200 lbs), whole cow (320-400lbs), half hog (55-70lbs), whole hog (100-150lbs). Planning a pig pickin’ or looking to butcher your own? Get in touch to chat with us about unbutchered whole and half animals. Order 30 pounds or more of any single cut and save an additional 10% off retail. This is a great option for catering a special occasion or stocking up your freezer with your favorite cut(s). 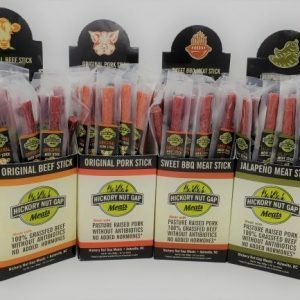 Receive a different 10- or 15-pound bag each month containing a mix of 100% grassfed beef, pasture raised pork, and pasture-raised chicken, plus a ton of VIP perks. The CSA itself is automatically discounted 10%, plus save 10% on additional meat and eggs purchased on the day of pick up. Enjoy lots of other savings throughout the month on events, retail items, and special offers. How do I get it? These bulk boxes are only available in store at our farm store in Fairview, 20 minutes from Asheville. You can come put it together from what is available in-store when you arrive, or you can make requests a week in advance and we’ll get it together for you ahead of time! How much is it? 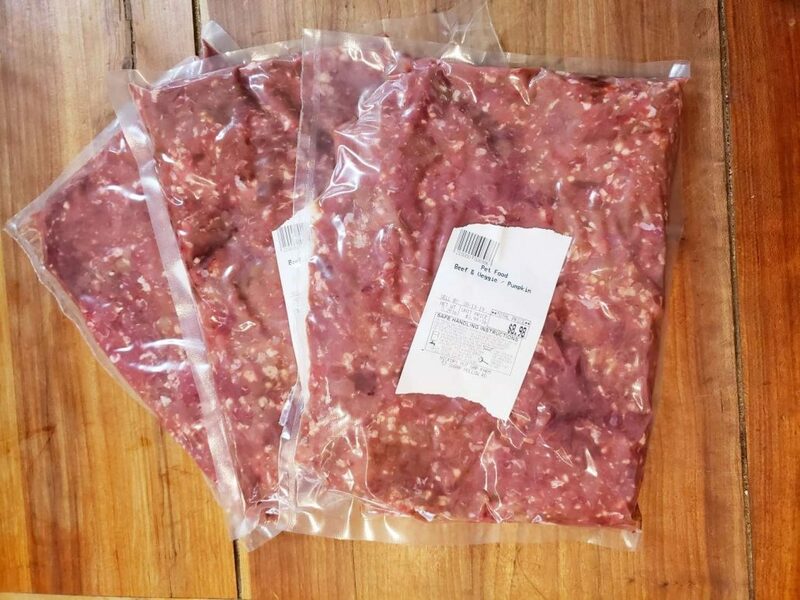 Our bulk beef and bulk pork boxes will range in price depending on what you select. 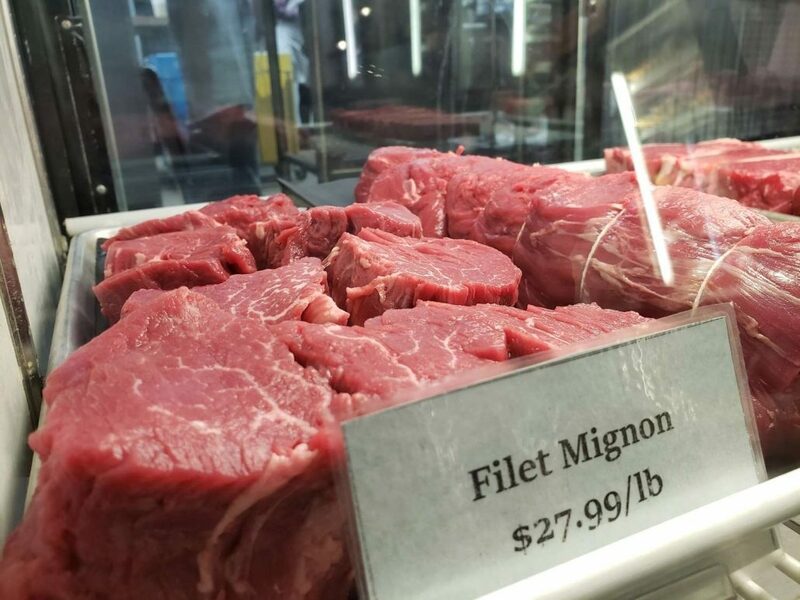 We’ll ring up what you select and then take 10% off the top, so your bulk box would cost more if your six steaks were NY strip rather than sirloin, for example. Brian Bermingham was born and raised in New Jersey, and moved to Talahassee, FL when he was 21. There he had his first meat apprenticeship at Johnston’s Meat Locker. In 2008 he moved to Asheville, NC, where he worked in the meat departments at Earth Fare, Green Life, and Whole Foods. He’s been butchering with Hickory Nut Gap since 2015, and lives in the area with his wife, Gabriela, and two daughters, Lola and Maria.